The Turkish president made the comments in the context of the government’s fight against the Kurdish PKK resistance group. In the fight against the Kurdish insurgency in the country, there is no place left for democracy and freedom of speech in Turkey, President Recep Tayyip Erdogan has said, arguing that his government’s crackdown on the Kurdistan Workers’ Party (PKK) group outweighs the rule of law. “If the state doesn’t strike its fist in a velvet glove on the heads of terrorists, they will continue hurting us each day,” Erdogan said in a televised speech Wednesday. His comments came a few days after Turkey was hit by a second bombing in the capital Ankara in less than a month. 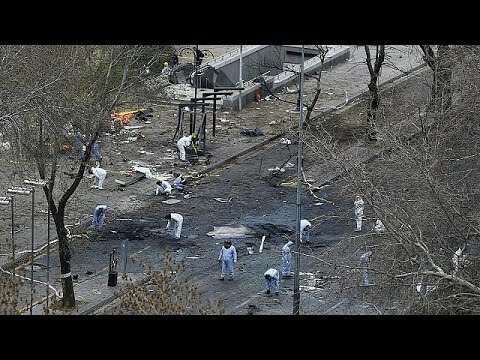 The bombing Sunday killed at least 37 people and injured hundreds. Erdogan said that his government sees anyone who comes out against Ankara’s military operation in the mainly Kurdish southeast regions as an enemy, even those calling for an end to the conflict. “Those who stand on our side in the fight against terrorism are our friend. Those on the opposite side are our enemy,” he said in the televised comments. More than 150 civilians have been killed since August as part of Turkey’s major operation against the PKK in the Kurdish regions. Erdogan’s comments come as the European Union is on the brink of finalizing a deal with Turkey to stem the flow of refugees into Europe through Turkey. Human rights activists accuse the EU of turning a blind eye to Turkish government abuses against the Kurdish minority and its crackdown on freedom of speech and critical media for the sake of the controversial refugees deal. “Turkey’s leadership is on a dangerous trajectory and the current policy of the EU is making the journey easier,” European Policy Center said in a report Wednesday. “The Union is viewing every aspect of its relationship with Turkey through the prism of the migration/refugee crisis. With this approach the EU is both morally bankrupting itself and at the same time helping push Turkey deeper into authoritarianism. Furthermore, the EU is sending a very wrong signal to other candidate countries,” the report added.